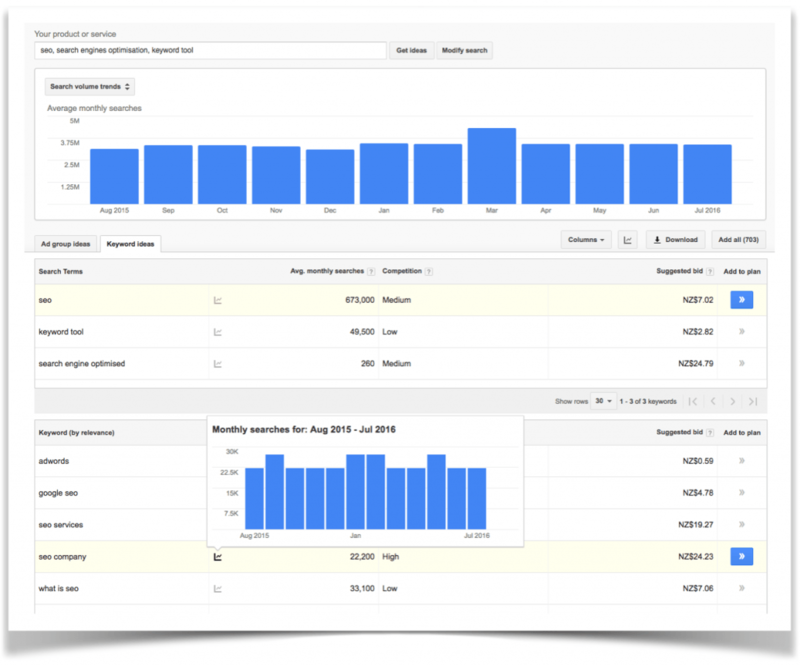 Instead of average monthly search volumes you’re used to seeing (such as 10, 70, 120, 1,200 etc) users been left with a ‘range’ for search volumes e.g. 0, 1-100, 100-1K, 1K-10K, 10K-100K, 100K-1M, 1M+. There’s also no longer a chart showing search demand seasonality, and the individual chart buttons have vanished. What we find frustrating is that not everyone using the Keyword Planner will want to have a paid AdWords campaign. If they do, we reckon they wouldn’t want to activate their campaign before they have access to accurate search demand data. Anyone checking search demand for SEO purposes is unlikely to want to commit to advertising, particularly smaller businesses with lower budgets. This is going to make it tougher for small businesses to compete with the big guys in their fields. When researching demand for different phrases people are using to find your products and services, accuracy is important. While we’ve always understood that Google’s Keyword Tool data is indicative, it’s the best tool available and pretty much every SEO’s ‘go-to’ tool. So the gaps between the new monthly search ranges are concerning, especially within the New Zealand market, where search volumes tend to be much lower due to our small population. For example a phrase with a range of 100 – 1K average searches per month means that phrase could have 1,000 searches per month on average (not bad for NZ, great for long-tail keywords/niche phrases) or just 100 searches on average. That’s a big difference, especially if you add it up over 12 months – will you have access to 12,000 potential visitors or 1,200? Businesses that use AdWords or those that manage AdWords campaigns for clients will still have access to these features. 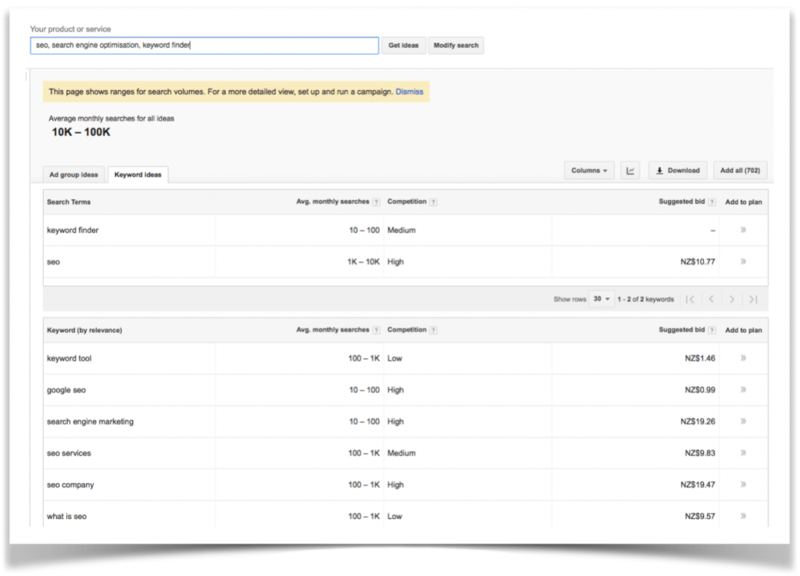 However, non-advertisers will be forced to pay for an AdWords campaign, pay for an alternative keyword tool, or engage an agency to do their keyword research for them. Luckily we fall into the advertisers camp, and our ability to provide Keyword Research for our clients has not been affected. 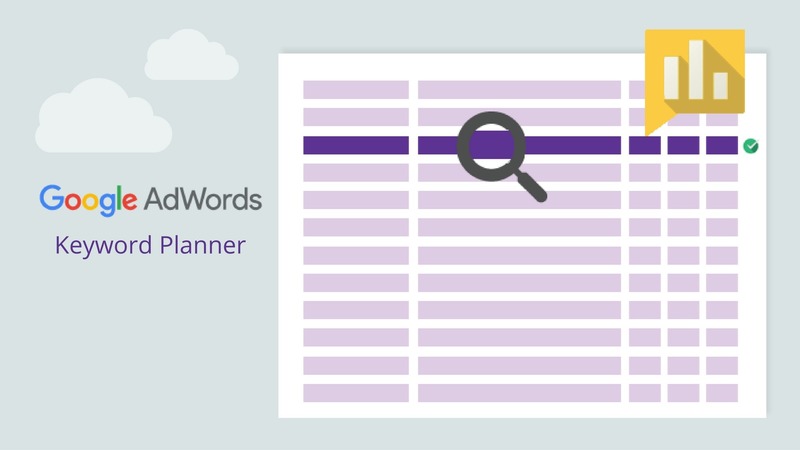 Have you noticed these changes to the Keyword Planner? What are your thoughts? We’d love to hear them. If you’re about to start researching organic keyword demand for your business and would like some help, contact us to ask about our Keyword Research services.